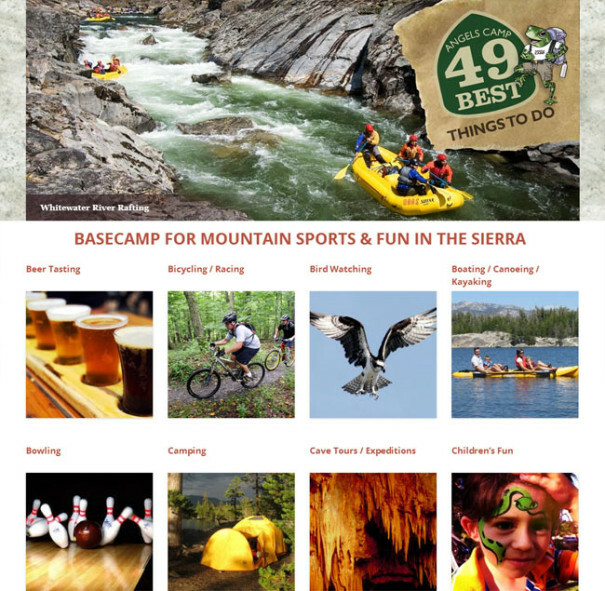 Located in the heart of California’s Gold Country in Calaveras County, just below the snow line and half-way between Yosemite National Park and Lake Tahoe, Angels Camp is the ultimate base camp for adventure sports in the Sierra. You will find outdoor recreation enthusiasts of all levels leaving their daily grind for the adrenalin rush of the thrilling outdoors. Here are just a few things to inspire you: Thousands of acres of national forest land, low and high-country lakes, rivers, caverns, wide-open landscapes, starry skies, the Ebbetts Pass National Scenic Byway, gourmet dining, award-winning wineries, thriving arts and culture, live theatre and music, living history, fascinating shops, special events and more. Visit the Play page to find out more about the recreational opportunities that await you!